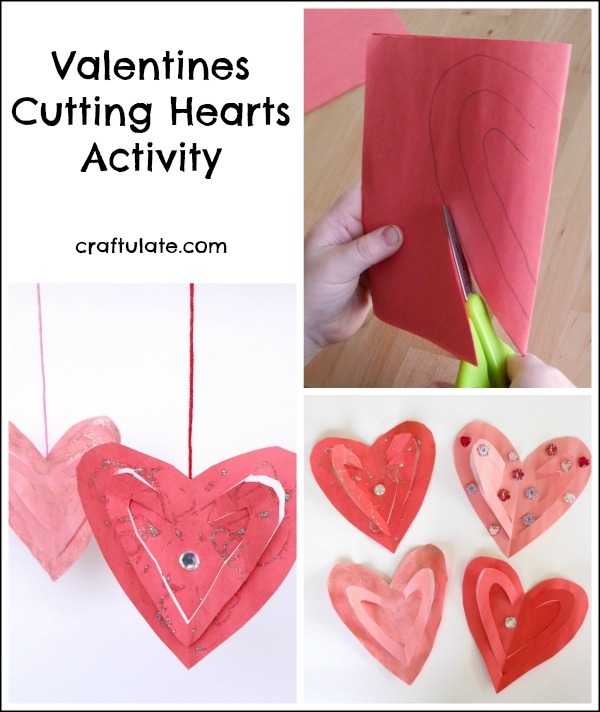 Here’s a super easy cutting activity that kids will love to do this Valentine’s Day! It really doesn’t need much set-up, and there are lots of things you could do with the hearts! 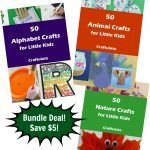 We decided to hang ours up – but you could turn them into cards (either on their own or by gluing them onto another piece of card), create a collage or poster, use them to decorate gifts – and more! 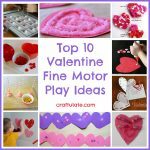 *Thanks to our friends over at craftprojectideas.com for these items – they really made the hearts sparkle! I used a whole sheet of construction paper to demonstrate how to make them, but I actually prefer the smaller hearts, made from half a piece of paper. Start by folding the paper in half, and drawing half a heart on it, so that the fold becomes the middle of the heart. Add two extra lines parallel to the first heart BUT not reaching the edge at the top – this is important otherwise your heart will fall apart. Cut along each pencil line, then open it out and you have a pretty heart! My son thought these looked very cool – much more interesting than a regular heart! When we’d cut out several hearts, we used the glitter glue and jewels to add some decorations. 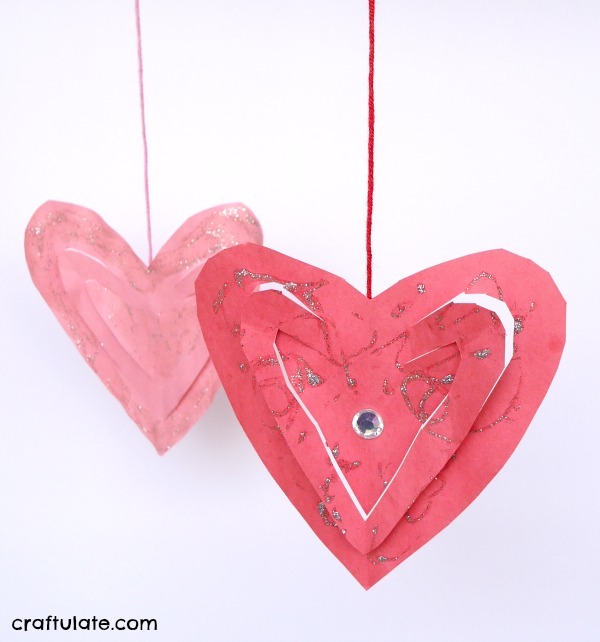 When the glitter glue had dried, I taped some lengths of thread to the back of the hearts to suspend them. So pretty!! !